Garbology follows different stories of ways that cities, countries, towns, and people are dealing with their trash. Katherine and I divided up the book, first half and second half for our presentation, so here is my stuff on the second half. In chapter seven; Humes goes into a story about trash trackers. These are people who will tag their trash electronically to see how far the trash travels before reaching its final stop. What these trash trackers have found is that trash makes a rather large carbon footprint. Most often what happens, for regular trash, is that these items we throw away will travel by truck for x number of miles, typically 10 or more, to be placed in the dump and left to rot and decompose. What Humes goes on to discuss in the next chapter is the fact that in these huge dumps and mountains of trash, the trash that ends up in the middle of these piles is entombed and creates perfectly preserved treasures. Electronic trash, as Humes discusses, often travels greater distances, its final destination being, most often, China. The trash trackers often lose track of their trash when it gets out of range for the devices. That being said this means that trash could travel the world a number of times before finally reaching where it needs to end up. This alone causes the emission of green house gases to go through the roof, as plane travel is creates the most harm to our environments. But, as the chapter points out, our trash travels far, and probably farther than most of the people who threw it all away. 1) what do you guys think might be some ways to stop our trash from traveling further than we do? 2) how can we use the trash that we create? Can we reduce our trash? In chapter eight; the story that Humes goes into is one about dumps. Dumps, to people like archaeologists, are essentially treasure troves. As mentioned above, dumps don’t decompose as fast as we expect them to. They last. One example from the reading talked about how the team of archaeologists was pulling out newspapers from the 1950s that could still be clearly read as if it had been printed that day. The dumps we are creating, the things we throw away, will be tell future generations about us. What we bought, ate, wore, read, all of those things will be decomposing still in dumps in 50 plus years. 1) what are some of the things you guys feel like you throw away the most? 2) does what you throw away end up in the dump do you suppose? 3) how could archaeologist use what we throw away to create our world now? What would they find? In chapter nine; the story that Humes tells is about an art program in San Francisco that has artist come and work at the dump to use whatever it is they find in artwork for the city to enjoy. This program has hundreds of artist trying to gain entrance, and the artwork that this created. This is one of the ways that people have begun to deal with their trash. Every day, unfortunately, the “pit” as the dump is called is filled with 1,500 tons of trash. Even with 12 artists a year coming t the dump to help redirect some of the trash this is not going to make that much of a difference in the tons of trash that people in San Francisco are throwing away. 1) if this was something that was impacted on dumps in big cities everywhere would it help make a difference on the amount of trash we throw away? In Chapter ten; the story that Hume tells is of the founder of ChicoBags, Andy Keller. ChicoBags is a company that produces reusable shopping bags (and other bags in cool colors for a decent price if anyone is interested). Andy Keller got his idea for his company when he went to drop something off at the dump. When he was at the dump he noticed plastic bags flying flying all over the place. According to Humes this made Keller upset to the point were he was inspired to do something about it. So he began producing his reusable shopping bags, that now earns his company a profit of $5millon a year. 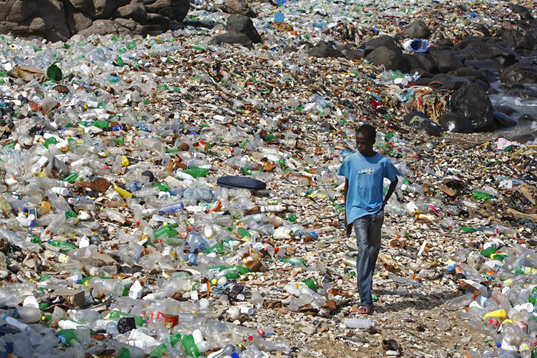 Unfortunately only 5% of Americans choose to use his bags or bags like them over disposable plastic. So Keller , began to try and change peoples minds on plastic. He made towers and costumes out of plastic bags as a way to teach students and other people about the risks that plastic plays to the environment. obviously the plastic companies didn’t like this. And filed lawsuits against the company . they failed (the lawsuits) but CHicoBags had to stop with their campaign to get rid of plastic. . This chapter also looks at the tax on plastic in Ireland. Anyone who uses plastic bags n Ireland at the grocery store are taxed of 15 euro cents. 1) could a tax like that here work? Chapter 11 talked about how the greenest city in the country was Portland, although they have a major trash issue. The greenest country in the world is Sweden. Their trash problem is minimal to none in comparison to ours. THE reason for this is because Sweden creates energy from its trash. How? By burning it. Only one state in the US doesd this same technique and that is Connecticut. Chapter 12 talks about ways to stop producing trash through the story of a woman and her family and how happy they have become. This chapter also gives pointers on what yo can do to stop producing trash. Mitch McConnell, the new Senate Republican leader, was quick to comment, stating “This unrealistic plan, that the president would dump on his successor, would ensure higher utility rates and far fewer jobs.” This push back is to be expected, however with the new Republican controlled congress, this goal is likely to be made smaller, if not gotten rid of completely. However, the deal shows a strong momentum for the environmental movement in world governments, that should be hard to stop. Garbology by Edward Humes is an interesting book on our obsession with garbage. According to the book, in America, and other developed nations, every person has a 102 ton legacy of trash that they leave behind. When you multiply that by the population of just America by that, the numbers are staggering. This garbage is invisible to us because every week we take it to the curb to be taken somewhere else. That somewhere else can be many things: a dump, a landfill, an incinerator, the ocean, the list goes on, and each solution has it’s pros and cons. The author’s view seems to be that our search for a solution isn’t enough. 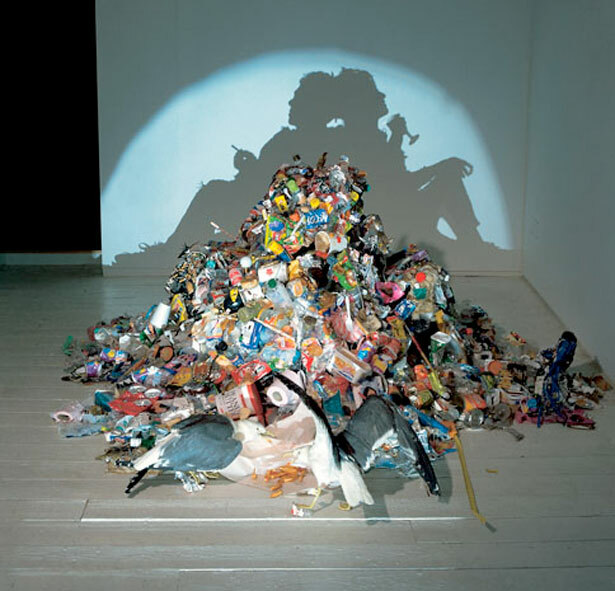 I find the authors view interesting, because he views landfills and such as an enabler to our addiction to trash. In our consumer economy everything we buy adds up to more trash. We throw away the plastic bags we carried the goods home in, we threw away the packaging that the goods were sealed in, and at some point we throw away the good itself. Whether those goods are the immortal plastics, electronics, or food, each has some sort of harm to the environment, especially in the numbers we throw away. Even recycling is something the author seems iffy about. As with the story about Zhang Yin, who made billions selling scrap paper products in America to Chinese manufacturers who make it into more packaging that just gets thrown away again. The author puts emphasis on how the throwing away is the problem. The author poses the idea that it’s one thing to recycle and bring your own bags to the grocery store, but a whole other thing to change your whole life style to be able to fit all of your trash in a mason jar or a paper grocery bag. One can find new uses for their trash, whether it be for art, compost, donation, or recycling the raw materials. One thing that the book points out is particularly bad is electronic waste. In the modern era we are constantly throwing away perfectly good electronics when they become obsolete. This is easily solved by giving your electronics to someone who needs them, donating them to charities, such as Goodwill, or recycling them. I’m from Cincinnati, and at the Cincinnati Zoo they have bins all over the zoo for recycling your cell phone to save the gorillas. This is meant to prevent the mining for raw materials in gorilla habitat, but it also reduces e-waste. I found the section on landfills to be very interesting, partly because it is another example of someone’s view of nature. Because while the author tries his best to describe the landfill as the most vile place on Earth, he continuously makes asides throughout the chapter on how the landfill is ironically a nature preserve. The author does not view the area as natural, but it is. Even if it isn’t exactly naturally produced, nature does have many habitats where methane emissions come from the ground. Sure, it isn’t ideal, but landfills provide a habitat for many species that people with avoid for many years to come. I felt that the book was very interesting and how trash affects our lives so much, and how our generation is making a mess of our world. I felt that “Garbology” was making a reference to our society as “trash”; in regards to the actions of trash removal and landfills, as well as our everyday trash builds up. After reading this chapter, I definitely started to feel guilty in the way I littered when I was younger and throwing trash away everyday. I now recycle as a 23 year old, but in remembering how much food and clothes I have thrown out in past I feel bad. Hume’s talks about the contrast between how trash was dealt with in Puente Hills and in New York in the 1890s. As someone who is from New York and moving to California after college, I relate to his discussion on the trash in these places. I would never thought of utilizing animals, especially pigs as mentioned, as a solution to getting rid of trash. I found it to be interesting how Colonel George E. Waring, a Civil War veteran, would be thought of as the solution to our trash problem during that time. Waring and his “White Wings” were applauded by many in which they pursued to clean New York. At first, I thought of Waring’s plan of the three waste bins would work, but just when you think we have a solution, it completely fails. I think if Waring’s plan were to be utilized as of today, most likely more people will choose not to follow. When you think about it, there really is no difference the way we get rid of trash than in the 1890s. I believe that some people still recycle, but I don’t think people would actually follow Waring’s three bins. When Hume’s started to get deeper into the discussion on Puente Hills, right when you start to believe Puente Hills was crazy enough because of how much trash it has, more insane stories developed. It is crazy enough to visualize how much trash is placed there, but the most disguising part of it is how body parts were hidden with the trash. Humes continues to mention as well how pigs were still used to eat our trash, which again I find disguising because to think when we eat pork, we are also eating the trash they used to eat. Hume’s continues to talk about the landfills, but this time the history of it. He goes on talking about David Steiner, who is the CEO of Materials Management Inc., in how he portrays a lot of confidence when it comes to the discussion of trash. He believes that trash will continue to fill up the landfills, but then he believes that there’s a possibility that his company will buy people’s trash. Hume’s explains to the reader that the ocean has become a form of trash, it made me think of several trash islands, and in particular the plastic island of plastic bottles. After looking into this I felt that I want to recycle more to prevent our world from being continuously harmed from our trash disposal tactics. Hume’s talks about a man named Bill Rathje an archeologist who was specialized in the study of ancient Mayas ruins. He created the Garbage Project a study that analyzes trash garbage. He is the first garbologist that with his archeological tools and techniques helps to understand the civilization of Americans from its garbage(163). Through his methods he developed a new language to identify pieces of trash from the landfills to discover what was it before. Humes gives a summary on Portland, Oregon and how Portland has been known as one of the greenest cities in America, in which the city came up with ideas in order to remain environmental friendly. For instance, transportation consisted more of bikes, which led to more bike parking, and an aerial tramway. Also, fitness clubs would utilize exercise bicycles and their members to generate green power. Portland’s trash is more than the average American’s 7 pounds a day and is half more than an average Oregonian. In Metro Portland, about 59% of trash was recycled, composted, or burned for energy in 2010. Our country needs to try to emulate the Green tactics that Portland has been doing, and in my opinion we need to get on it quickly or we are all in a heap of trouble. You are currently browsing the Environmental Geography blog archives for November, 2014.